Inside an engine, you have aluminum pistons coated in a sheen of oil spinning at high rpms in a iron block. The iron crankshaft, spins at high rpms inside of bearings. Now, oil lubricates, and reduces friction and wear on the piston skirts and cylinder walls. Pistons and bearings can now be coated in a thin film that is very slick, that reduces friction, and reduces drag on the motor. This same film increases the life of the motor, and in case of oil circulation problems, it can prevent catastrophic damage. This is not a gimmick, its a proven technology, and more and more engines are now factory assembled with pistons skirt coatings. This is because oem manufacturers have realized the benefits of reduced friction/longer piston life. 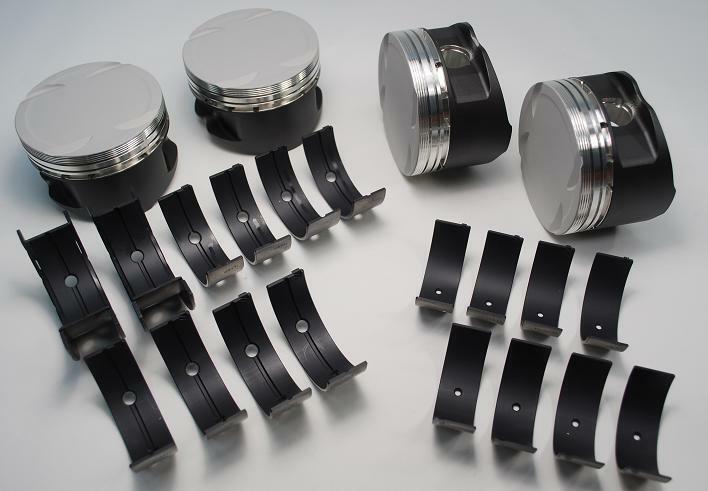 Now, we offer coatings on many of the bearings and pistons we offer. If you are interested in getting some coated bearings for your Dodge/Plymouth Neon/ Dodge SRT-4, contact us! When installing a new timing belt, be sure to replace tensioner, and idler bearings! Quick Picture Of Calico Anti Friction Coating! Who’s seen this before? Timing belt walked, sliced through engine cover and almost through fuel line on a Dodge Stratus 2.4 engine!